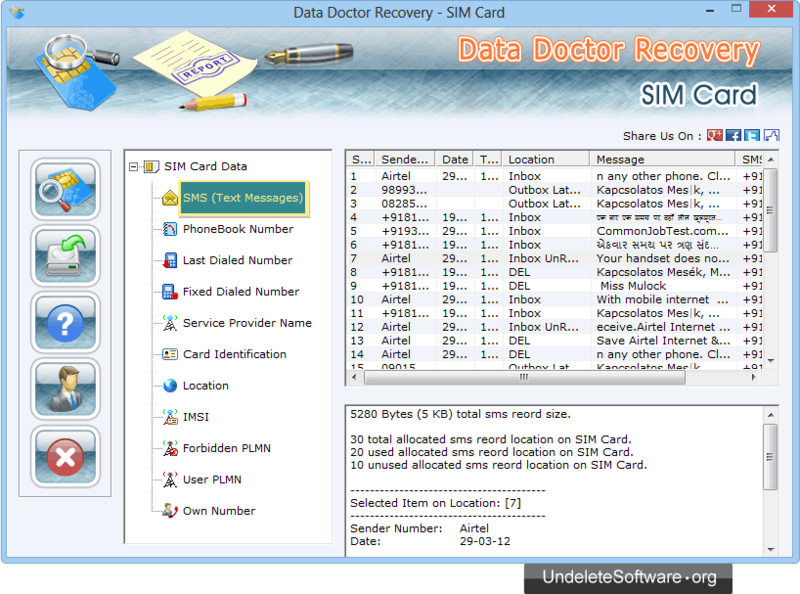 Sim Card Undelete Software allows you to undelete SMS and contact numbers which were deleted due to human error, virus infection, software malfunctioning, etc from your mobile phone sim card. Undelete program is read only utility that recovers accidentally deleted text messages including inbox, outbox and draft SMS and phone book contacts from formatted SIM cards. 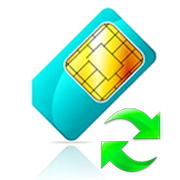 Recovers all lost, missing or deleted phone numbers and text messages from your cell phone sim card. Provides complete details of sim card including service provider name, location, manufacturer, card identification number and IMSI number. Program supports all PC/SC standard or phoenix standard sim card reader used to connect sim card with your computer.